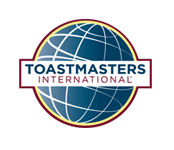 Toastmasters District 26 has provided you with a variety of tools for your toolbox to help you along the way. Starting with Webinars, we will slowly add other tools to this page for better tips and tricks! Please feel free to contact us if you have suggestions for what tools you need or would like to see. We all need to use Concur. Some more than others. We need Concur for pre-approval of expenses like travel or mileage. I have found many other resources while hunting around for help aids that may be of use to you in District 26 Toastmasters. Click the links below for tools from other Districts I found for you. Thank you in advance for any District who did the work for these great ools and resources. If you are form one of these Districts and do not want to be listed here or desire to have your link removed, please contact us. thanks you once again! Enjoy!